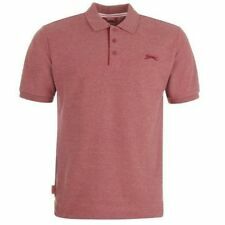 Brave Soul Mens Large Burgandy Polo Shirt . Condition is New with tags. Dispatched with Hermes Tracked. 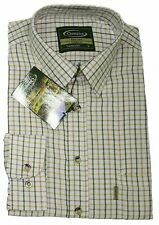 Mens Prada Shirt. Condition is Used. Dispatched with Royal Mail 1st Class. Colour is dark Charcoal Grey, slight lighter fleck in material. Along top of shoulder and sleeve there is a burgandy and navy stripe. 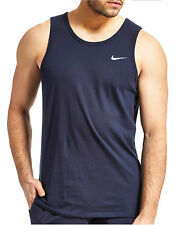 TOPMAN VEST/TEE SHIRT. SIZE LARGE. S ize L but very neat fit. Ralph Lauren men’s navy blue cardigan. This has had some wear as you can see from the pictures. It’s still in good condition and still got loads of west left in it. I’m having a clear out and this unfortunately doesn’t fit me anymore. Grab yourself a bargain. Any questions please message me. Immaculate Barbour Polo shirt. Size L with 22” pit to pit and 28” in length. Usual Barbour style, fit and colour. Super soft material. Logo on chest and buttons. UK bids only. 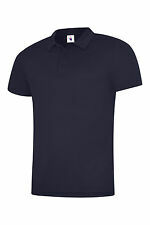 MENS PAUL SMITH POLO SHIRT SIZE LARGE. Condition is Used. Dispatched with Royal Mail 2nd Class.